The Chocovision Rev 2B is also known as the ChocoVision Revolation 2B. Clicking the link below will start my video review of this amazing chocolate machine. I do a complete unboxing and review and go through each piece in detail, and also show you how the machine works. I go through ALL the buttons on the top of the machine – in detail to give you enough information that you could use the machine right out of the box. 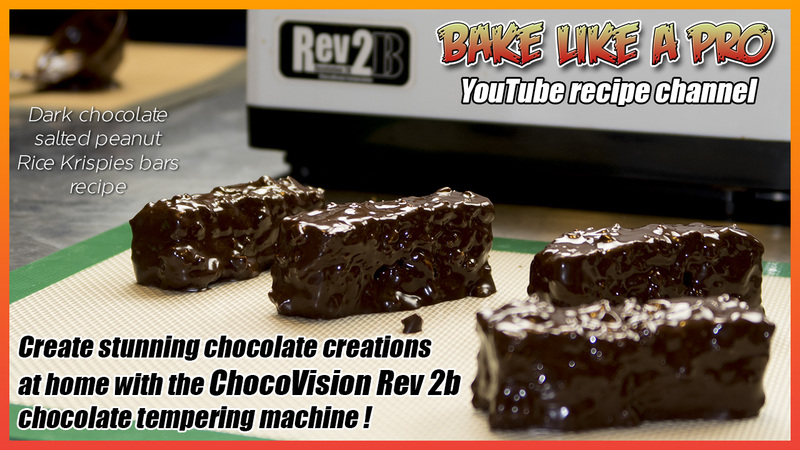 ChocoVision chocolate tempering machines are really great, watch the video and you’ll agree. That’s it for now folks. I show you that you can make great chocolate decorations using an inxpensive $3 Wilton chocolate mold. Wilton calls this a Wilton candy mold, but it works with chocolate also. Try it out ! I got mine on Amazon. They have many different ones available. Wondering about the chocolate tempering machine I’m using in my video ? it’s by Chocovision http://www.chocovision.com and it is the model Revolation 2B. MINI Fast And Easy Brownies Recipe ! I’ve had a lot of requests for this recipe, so here it is ! We’ll make 4 nice square brownies out of it. Full unboxing and detailed review of the Mol D’art chocolate melter which many professional chocolatiers use in their chocolate shops. Volledige unboxing en gedetailleerde beoordeling van de Mol D’art chocolademelter die veel professionele chocoladefabrikanten gebruiken in hun chocoladewinkels. Unboxing complet et une revue détaillée du fondant de chocolat Mol D’art que beaucoup de chocolatiers professionnels utilisent dans leurs magasins de chocolat.